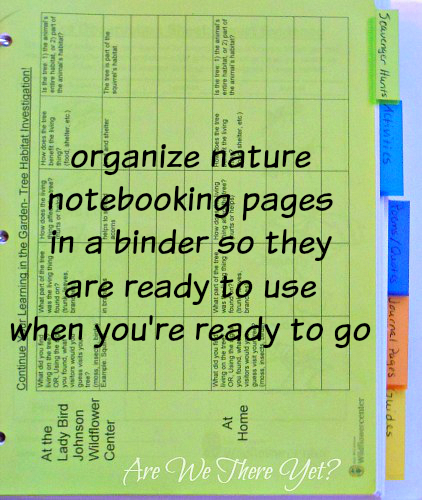 Everyone has different ideas about notebooking. Some only use traditional notebooking pages. My definition? If it fits in a notebook, it is a notebooking page! I do not have a formal plan for nature study. I play it by ear according to the season, the weather, and what kind of week we’ve had. We pick a topic, choose some printables to go with it, grab our nature bag, and head out the door. I’ve learned to make it easy on myself by having a variety of notebooking pages ready to use. If I have to take time to hunt down what I want on the computer and print it out, we are probably just not going to get it done. 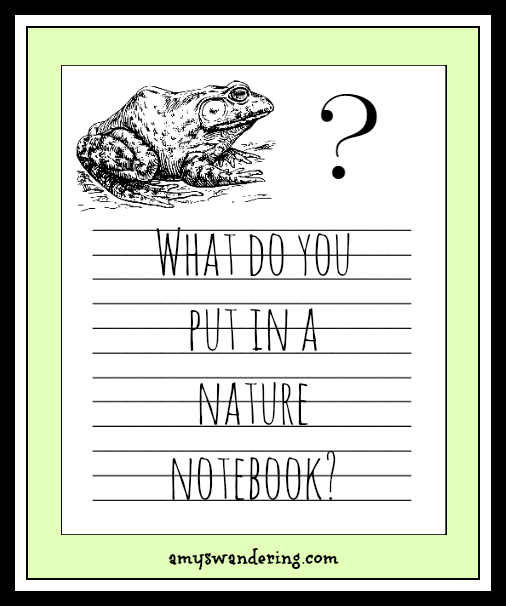 I have a huge collection of links for printables that can be used for nature notebooks. 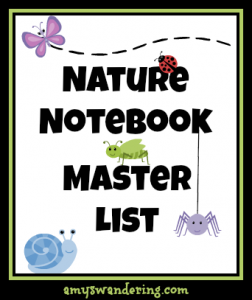 I’ve been working hard to update my Nature Notebook Master List. Categories: notebook/journal pages, coloring pages, activity pages, scavenger hunts, lapbooks, learning pages, identification sites, eBooks, and nature websites. Over 200 FREE resources so far! My kids each have a 1 inch binder for their notebooking pages. Pages that contain specimens or are extra-special get slipped into a page protector. We use paper with a reinforced, hole punched binding for drawings. Nature study doesn’t have to be hard or complicated. Explore and have fun!